What Are the Different Types of Fine Art Jewelry? Fiber is sometimes woven into necklaces or bracelets. Austrian crystal jewelry is made of hand-blown glass. Fine art jewelry can be divided into three categories: jewelry that is formed from metal, jewelry that is strung on a wire or thread and a third, less common, category of jewelry made from fiber. Examples of metal formed jewelry include rings, bracelets, choker necklaces, pendants and brooches that might have been formed by casting, heating or bending the metal. Fine art jewelry that is strung on wire or thread can be constructed from a variety of materials, including gemstones, glass, fused glass or common stone. Almost any type of jewelry can be made by stringing, including necklaces, earrings, bracelets and rings. The designer is limited only by his or her imagination. The maker of metal art jewelry can use either precious metals, such as gold and silver, or a common metal, such as copper. Jewelry designers who work in metal are often familiar with a variety of techniques, which include cutting, bending, assembling metal and casting. Metal can be heated, joined and hammered to create texture. The designer can add enamel or set gems or other materials into the jewelry piece. He or she might also use thick, flexible wire to form different shapes and types of jewelry. Many contemporary jewelry designers create pieces by stringing together elements such as beads and pendants. Beads usually are thought of as being small and round, but beads can come in a variety of shapes and sizes. Some beads are very large. Beads can be made from many types of materials, including glass, bone, crystal, pearl and acrylic. Among the other materials out of which beads might be made are wood, shells, clay, fiber and paper. After the designer chooses the beads for stringing, he or she must create a pattern that is pleasing. Beads are strung together by using a needle and thread or wire. The making of beadwork jewelry, or "beading," is a popular hobby. Many magazines about beading are available, and bead enthusiasts can also visit bead shows or go online to purchase various types of beads from around the world. Many of these enthusiasts like to sell their handmade jewelry, so it is possible to find custom jewelry at prices that are more reasonable than those found at expensive boutiques and major art festivals. Fiber jewelry is a more esoteric category of fine art jewelry. 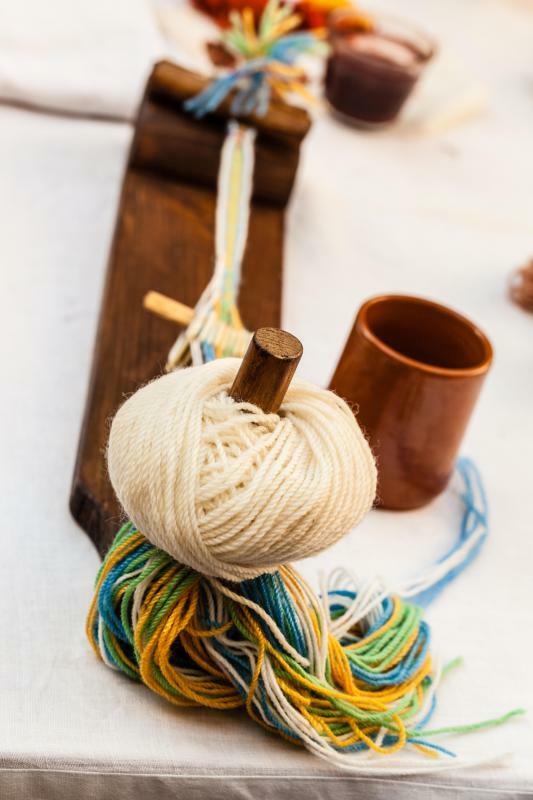 The flexibility of fiber materials, such as yarn, hemp, felt and silk, make it suitable for some custom jewelry designers. Fiber can be woven or twisted into necklaces and bracelets. Artists often combine fiber jewelry with other materials such as shells or beads. Designers who make handmade fine art accessories typically focus on the aesthetic elements that are important to all works of art, including line, shape, color, value and texture. 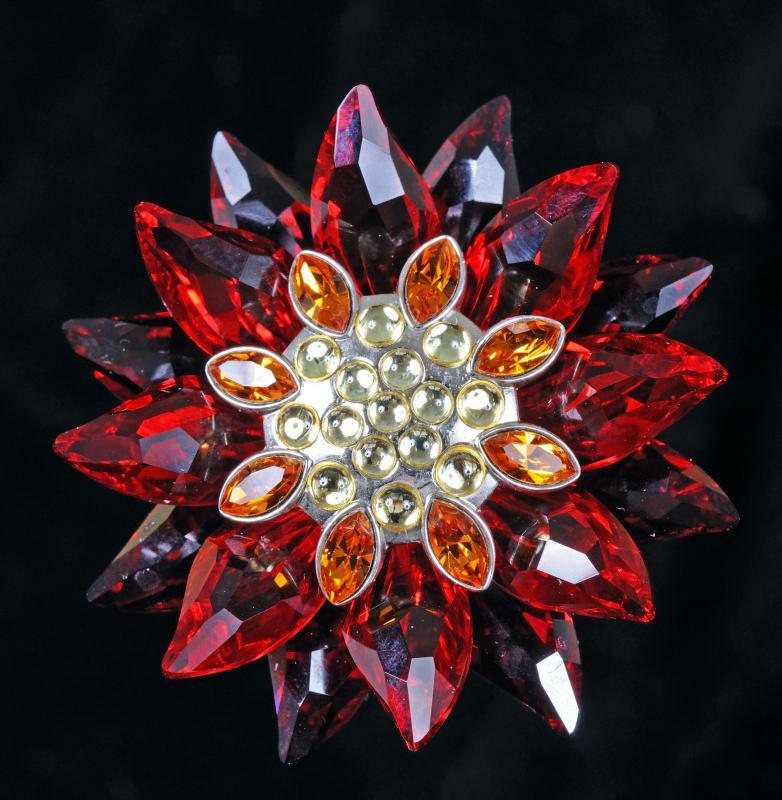 Fine art jewelry is prized by many collectors for its artistic quality and one-of-kind appeal. Like other fashion accessories, contemporary fine art jewelry can be an expression of savvy and taste in fashion. How Do I Use Loose Moissanite Stones? What Is the Tempe Arts Festival? How Do I Choose the Best Copper Wire for Jewelry? What are the Different Types of Tungsten Jewelry? What does a Costume Jewelry Designer do? What are the Different Types of Hawaiian Jewelry? @clintflint - There is definitely more handcrafted jewelry out there these days that isn't so expensive. Some of it even has diamonds and gold, without using the purest or most expensive kinds available. In fact, I'd rather buy from individual craftspeople who are making these designs than from a jewelry store. They are the ones who tend to inflate prices because of particular metals or jewels. @croydon - On the one hand, I agree about museums. But on the other hand, it actually really annoys me that handmade art jewelry is always so expensive. It usually isn't because of the artistry involved, but because the piece is made out of precious metals. But what I like about them is that they are beautiful and that kind of art and creativity could still be captured with materials that aren't so rare and expensive. I don't mind paying artists for their work, but I don't care if a ring is gold or brass, as long as it's beautiful. I'd rather have the brass ring, in fact, because I'd be able to afford a car if I don't buy the gold one! When I was in Europe a couple of years ago I basically went on a fine art jewelry binge, in the only way that I could afford, which was through museums. There are some fantastic, decadent examples out there, particularly in old cities like Prague and London. They have some modern designer jewelry as well, but my favorites were the old fashioned designs, like Art Nouveau jewelry. Some of it was so beautiful I just couldn't stand it. I'm glad that they keep it in museums now, so everyone can share in the beauty.